Well..the bad news is that that's my leg right there. 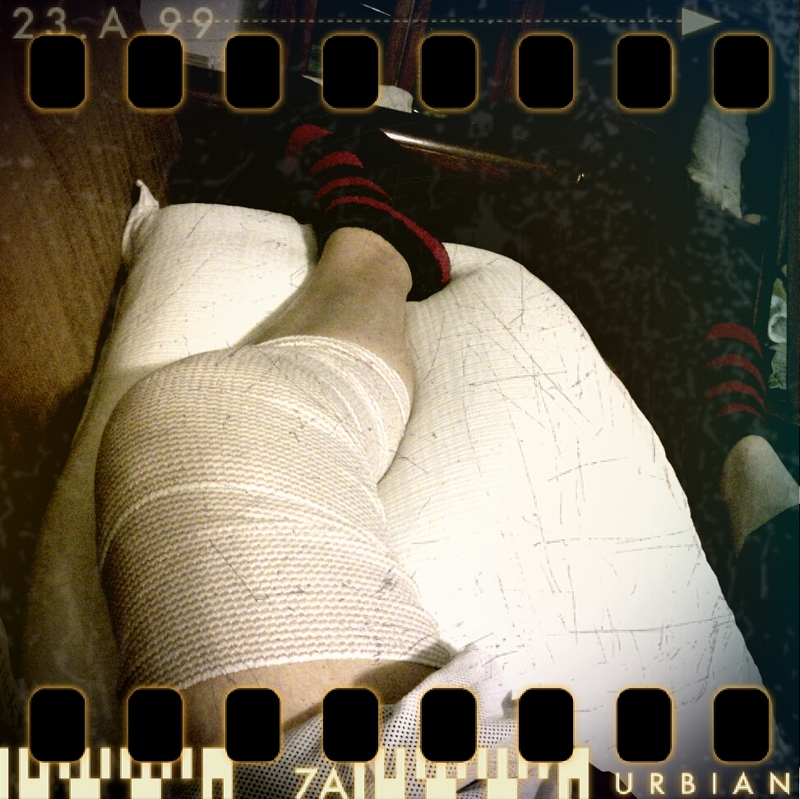 The good news is that I survived my knee surgery. To give to the homeless...or not? Given that this is the season of love, with Valentine's Day just behind us and all, I tend to pay greater attention to the needs of others this time of year. One of those needs that seems more front and center all the time - as Nevada's economy continues to take a beating - is the homeless in our community. I work in a downtown building, and it's safe to say that I get asked for money...a lot. Usually, I make up an excuse about not having cash on me or I give the person all the change I have in my pocket. 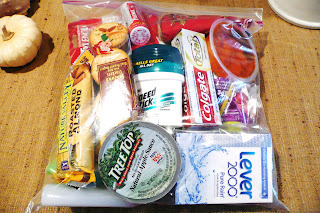 Recently, I saw these "blessing bags" on Pinterest to keep in the car to give to the needy, and thought they were pretty clever. Seeing as how I don't actually get around to doing 99% of the things I find on Pinterest, I haven't actually made any of these "blessing bags." One day, though, I was in my car, and I pulled up to a stop light. Out my window, I saw a lonely looking man in a beat-up raincoat. Something about his silver-gray beard or his particularly earnest cardboard sign tugged at my heartstrings a little. I patted my pockets, and I actually didn't have any cash on me. For real this time. I couldn't very well write the guy a check. What to do? I looked around my car. And then I saw it. A bright yellow banana left over from lunch. "Hey, it's better than nothing," I thought. I rolled down my window and extended the banana to the man. "I'm sorry!" I said. "It's all I have with me." He nodded and took the banana. I rolled up the window, smiling slightly to myself and feeling pretty good about having helped someone in need...even if it was only a small gesture. The light turned green, and I looked up in my rear-view mirror to see if I could catch a glimpse of the man. I caught a glimpse alright. A glimpse of the guy tossing the banana right over his shoulder into a bush! The nerve of some people. Seriously. He could have at least waited until I'd driven down the block. Now I'm conflicted. Do I let this one bad experience turn me into a jaded and cynical person who'd rather not help at all if my help's not appreciated? Or do I chalk it up to one ungrateful person who doesn't reflect the true needs of these guys (or gals) with their cardboard signs on the street corners? What about you? Do you give to the homeless...or not?